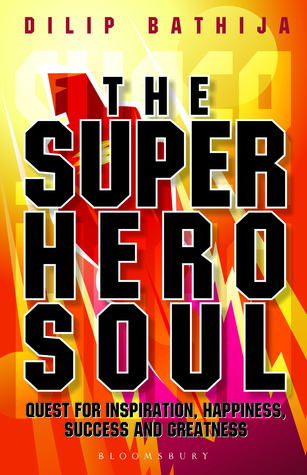 Dilip Bathija is the author of The Superhero Soul: Quest for Inspiration, Happiness, Success and Greatness, a human-artist, visionary entrepreneur, speaker and a humanitarian. He believes every individual is capable of attaining personal and professional greatness. All relationships can be harmonious and all goals attainable, once we connect ourselves to the source of powers within. For then, the powers are ours to unleash, for mental, physical and spiritual joy and abundance. His programs are conducted across 40+ cities each year. When not reading, writing and contemplating, Dilip devotes his time as the co-founder and visionary at Dream Is Now, an integrative media/publishing brand. I am a huge fan of Paulo Coelho and the one book that is always on my bed side is his Manual Of the Warrior of the Light. Simple and to the point that book has answers to most of the queries of life. After reading this book I can easily say I have added it to my bed side stack as even this book is like a know-it-all on life. Drawing references from his own experiences the author talks in a friendly tone drawing your attention in the first few pages itself. Usually self help books are backed with lot of research because of which at times the authors end up sounding preachy and hollow with no weight in their words. But this book not only promises to be different but it also ends up being so. The author manages to make you believe that you are a super hero in your own self at the end of the book, which according to me is quite a feat. With colourful interiors, neatly segregated chapters, point wise explanation and live examples accompanying each one this book has not a single boring moment where you feel overwhelmed with all the information downloaded on your. The explanations are very precise and brief ensuring the message not only reaches the reader but it also creates a desired impact. The best part is this book is relevant across age groups with no limitations in terms of its interpretations. The lucid narrative is the icing on the cake. Loved this book, till the last page and re-read a lot of portions purely for the beauty in those words. This one is a powerful book, one that can alter lives and also the way you look at not only others by yourself. Don't MISS this one, you will surely regret it. Strongly recommended for each and every one, after all we need to know the magic we hold within and this book promises to be the key to that secret. 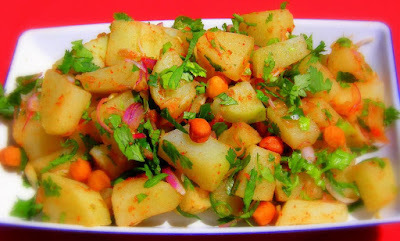 This book is like Aloo- Chaat : Crunchy, spicy, tangy, filling and perfectly tongue tantalizing!